Our children spend time singing, praying, and hearing from God’s word, before breaking off into smaller groups (based on year level) for activities such as group discussion, games, and craft. Our children learn about our amazing God and how much He loves them through play, singing, craft, and teaching from the Bible. Our supervised crèche facility offers wonderful toys and books, as well as a fun outdoor play area. Babies are loved and cared for in a safe, nurturing environment. Our supervised crèche facility offers wonderful toys and books, as well as a fun outdoor play area. Babies are loved and cared for in a safe, nurturing environment. Children spend time in free play and arts and craft, while parents chat and supervise. At 10am we have morning tea (bring morning tea for your child; tea, coffee & morning tea is provided for parents) and at 10:45am we have time for a group song and story time. Cost is $2 per family each week. GEMS is a Christian girls club aimed at helping girls grow into who God created them to be through friendship, games, craft, camps, and badge-work with a biblical focus. Cadets is a Christian boys club aimed at helping boys to discover more about themselves, the world they live in, and the God who loves them and created it all. On Friday nights our high school students gather together to hang out, have fun, and hear relevant teaching from the Bible. Our hope at BPCC Youth is to provide a place for young people to come to know Jesus and grow in their relationship with Him. On Friday nights our high school students gather together to hang out, have fun, and hear relevant teaching from the Bible. Our hope at BPCC Youth is to provide a place for young people to come to know Jesus and grow in their relationship with Him. This group spends time discussing the sermon from Sunday and how it applies to their lives today as young people and as followers of Jesus. 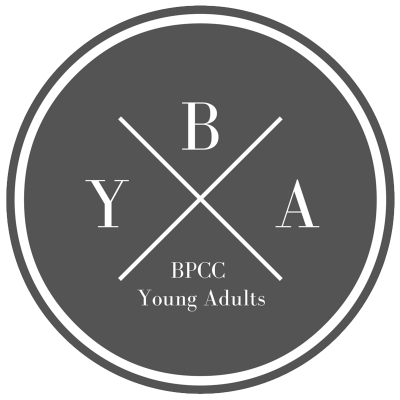 Our young adults meet for coffee, food, Growth Groups (Bible study, prayer, etc.) and community. Everyone is welcome as we together discover who Jesus is and what it means to follow him! seek to follow Jesus together. Join us at our next gathering! 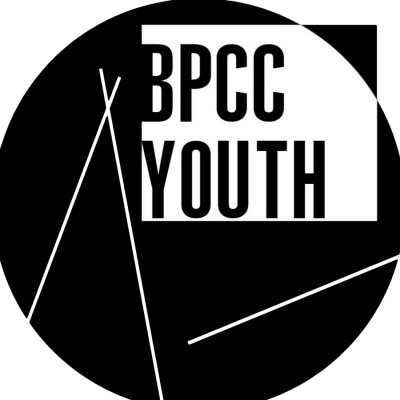 BPCC Women is a group of women who meet up for different social events and occasions. We hope to build friendship and community with one another as we seek to follow Jesus together. A morning full of games, fun, and fellowship for our senior members. All are welcome to attend. A morning of craft and fellowship. All are welcome to attend. Bring along your own project. A time of ladies Bible study followed by sharing lunch together.